Special thanks to Richard Siedhoff, who helped create this comparison. 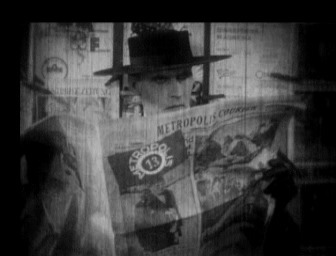 In 2009, Richard had the opportunity to have a look at the rediscovered Argentinian version of Metropolis. He posted extensive information about the previously lost and still partially missing scenes on the forums of the website stummfilm-fan.de. Richard was nice enough to supply us with his texts, which he thorougly reworked for this article, adding more information. The last part of the introduction (musical cuts) is also written by him. Comparison between the restored version from 2001 (taken from the German UFA/Universum Film DVD) and the restored version from 2010 (taken from the UK DVD by Eureka! In their The Masters of Cinema series). The reason for the NTSC format in the UK DVD is probably that they wanted to keep the (probably) correct speed of the movie. This previous enumeration does not count running time differences caused by material being used multiple times or differently long intros and outro. I have recently seen the silliest film. I do not believe it would be possible to make one sillier. 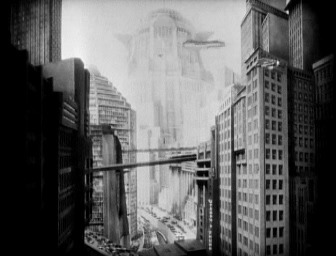 It is called Metropolis, it comes from the great Ufa studios in Germany, and the public is given to understand that it has been produced at enormous cost. Originality there is none. Independent thought, none. Never for a moment does one believe any of this foolish story; for a moment is there anything amusing or convincing in its dreary series of strained events. It is immensely and strangely dull. It is not even to be laughed at. There is not one good-looking nor sympathetic nor funny personality in the cast. My belief in German enterprise has had a shock. Six million marks! The waste of it! These were extracts of H.G. Wells's criticism of Metropolis in April 1927. 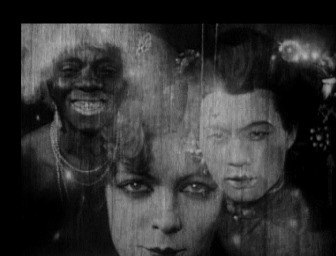 The UNESCO obviously had a different opinion about it when she introduced Fritz Lang's masterpiece as the first movie into the world document heritage. 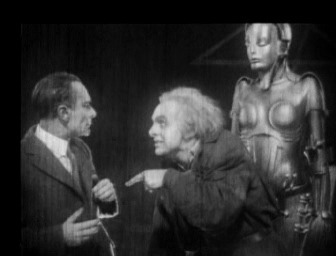 It is a fact that Metropolis, whose budget was about the tenfold of a normal contemporary production's cost, has influenced the Science Fiction cinema and film making in general over decades. Innumerous genre colleagues used the movie's imagery. Rotwang's machine human does for example not by accident look a lot like C-3P0, and Ridley Scott used Metropolis as inspiration for his city in Blade Runner. More references can be found in Frankenstein, Superman, 2001: A Space Odyssey, Batman, Dark City, The Fifth Element and a lot more movies. Traces of the classic can even be found in music videos: the clip of Love Kills by Freddy Mercury tells the love story between Freder and Maria using original movie clips, the videos of Queen's Radio Ga Ga and System of a Down's Sugar also use sequences of the movie. Even Madonna gives a nod towards Metropolis by using a modernised worker city scenery for the Express Yourself video. It can only be speculated about which version of the movie the people who got inspired by it have seen. It is sure, however, that it could not have been the uncut version shown at the premiere in Berlin. With its length of 153 minutes (at a speed of 24p) the movie was just too long for most publishers. This is why American audiences were shown a version cut by 30 minutes. 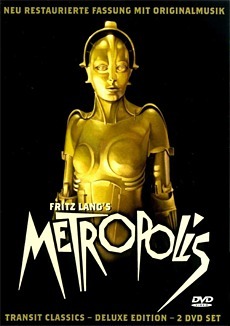 After Metropolis had been shown rather unsuccessfully in only one cinema in Berlin the movie was pulled out and re-released in a version which used the American cut as a starting point. This new version was then used as basis for other international exports. The cut material was probably destroyed instantly and the original version of the movie was lost. 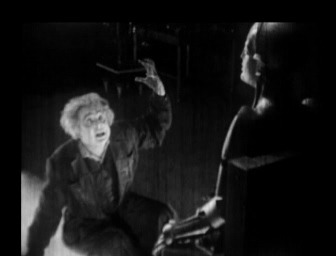 Lang himself called Metropolis a movie which no longer existed. The "Ufa" Pavillon in Berlin. This is the only movie theater the Original Version was being shown in. 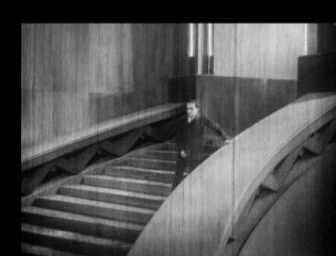 It was not before the Seventies that film historian Enno Patalas tried to find those lost scenes. After years of international research, a version could be put together 1986/87 in Munich which was still cut but a big step forward from the then usual 1937 Museum of Modern Art version. 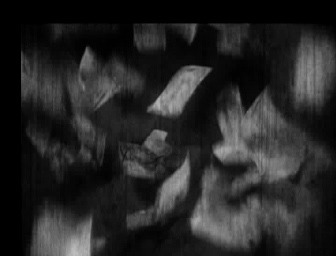 Due to intertitles which were true to the original as well as desciptive texts and still pictures which replaced missing sequences and a montage very close to the original, the Patalas version was the best one could get until 2001. This was the year of a DVD release, which relied a lot on the Patalas version but used modern reconstruction methods and better quality material. However, probably nobody believed in the reappearance of the premiere version. And so the surprise was huge when in early 2008 a siginificantly longer version surfaced in Argentina. This sensational find could be traced back to a copy which an Argentinian publisher had bought after the movie's premiere in 1927 directly from Ufa in order to use it in his own country. Following contemporay habits this copy should have been destroyed directly after use, but due to lucky circumstances it did not share this fate with the other copies and ended up as part of a private collection. From there, it had been rented and shown small groups of people for decades until the collection was given to the national art fund in Argentina. For fire safety reasons, the highly inflammable 35mm nitro rolls were copied onto 16mm and then destroyed. 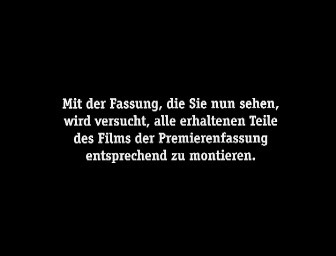 More then thirty years later the negative came to Germany, where Anke Wilkening (Friedrich-Wilhelm-Murnau-Stiftung) and Martin Koerber (Deutsche Kinemathek) used it as basis for the newest reconstruction. 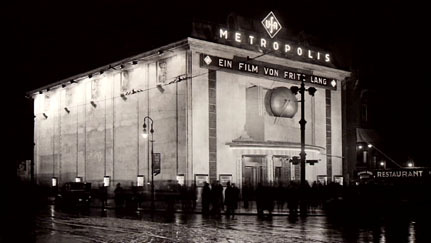 On the 12th of February 2010, more than 80 years after the original premiere, the now almost complete reconstruction of Metropolis was shown in the Old Opera House in Frankfurt and on the Berlinale. 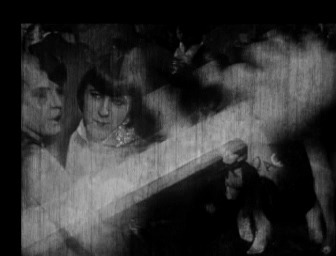 The disastrous condition of the Argentinian footage was quite a challenge for the restorer because the 35mm rental copy, from which a 16mm dup negative was made in the 70s (see the explanations in the prior previous paragraph), was full of traces of usage (the missing parts of the image as a result of the change of the aspect ratio is being marked with black bars in the new version). Unfortunately, the copy was made via dry scanning which suitable for intact original material. But this procedure is being used for non-intact material, as it is the case here, scratches, soilings etc. are being copied into the dup negative. With a so-called wet scanning (the negative is being dragged through a chemical fluid), the worst could have been prevented (particles of dirt are being removed and mechanical damages softened optically). But it was too late for that, so that the restorers had to deal with the status quo and use digital technic devices to make the best of a bad job. 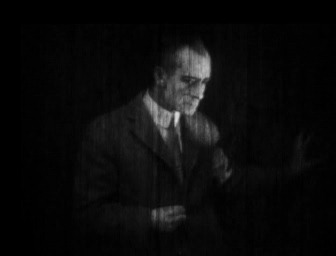 Compared to the rest, the stabilizing of the images and the decrease of widespread bright stains was a piece of cake. Really tricky were the scratches and other damages. It turned out that any tests with several restauration softwares failed because there were just not enough intact images to get a positive result with the regular method (defective spot is being overlaid with a non-damaged image). The solution was pretty simple: a newly developed software, compatible with all requirements, had to save the situation. That’s why "RettMagic", a software that doesn’t work with single frames but with longer sequences and the recognition of patterns, was developed in a three month process. Now it was possible to wipe out the damages without transfering any other footage. Nevertheless, the cleaning effect needed to be synchronized with the condition of the material and the content of the scene. 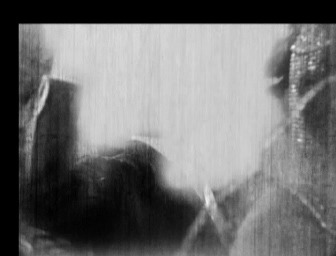 Heavily damaged scenes with much character movement for instance needed a very low cleaning factor because there would have been digital artefacts if it had been done otherwise. 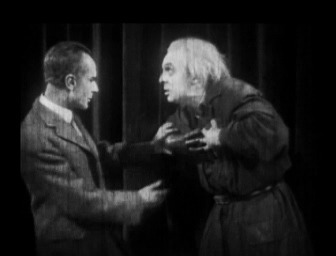 Because of that, there some scene that could just been restored partially. 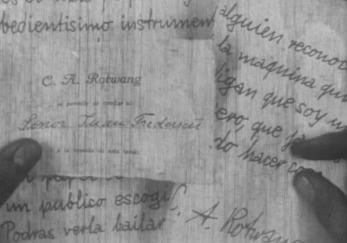 Part of the restauration was the translation of Spanish lines on letters, notes etc. (these sequences had been produced exclusively for the Spanish market) To do so, the Spanish text was removed from the single images and replaced by German texts after an efficient cleaning (or digital remodeling). A further Sisyphean task was combining the already-existing with the new footage so that the result is as close to the Original Version as possible. It turned out that notes on the musical score and timing settings from the score were incredibly helpful. Now we have a comparison of the reprocessed Huppertz music from Frank Strobel (2009) with the piano score from 1926. All differences in the musical score are being mentioned. This is supposed to point out the missing parts in the current reconstruction. 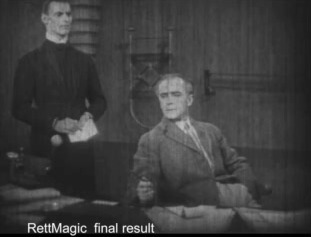 But one needs to consider that most of the footage of the new restauration is not equal to the footage of the movie premiere, which was scored by Huppertz. Basically, the footage of the US Version was used because it seemed to be the most authentic footage available. 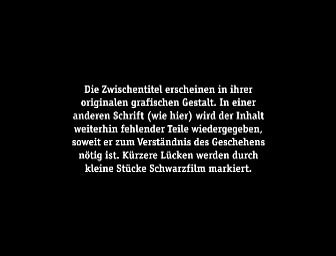 Furthermore some footage from the German and the Export Version (e.g. the Argentinian footage) was added. Another aspect is the high amount of shots that are presumably incomplete because they have been slightly shortened in the 20s and 30s or it was just wear and tear. As a result of that, the timing of the cut isn’t necessarily equal to the version shown on its premiere. Moreover there are several minor differences even though there’s not a lack of content at all. 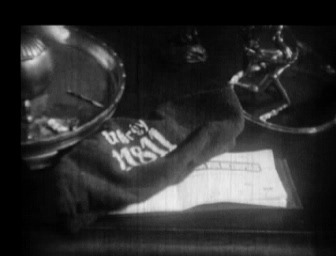 The precise length of the intertitles is unknown as well. The bottom line here is that, besides the still missing scenes, there are still more than five minutes of footage missing until the original length is reached. Additionally, the score contains many beats with vi= =de in brackets. These appear to be the last step of Huppertz’ work routine to make the score as suitable as possible to the final cut. These beats were actually supposed to be left out but often appear in the new editing. Remarkable are many short removals of 1 or 2 beats and the doubling of others. It often has sth. to do with the adjustment of the score and needs to be done because of the differences to the Premiere Version. That means it’s not necessarily a bad spot. Reconstructing the length in beats is quite a long shot anyway because the length of the beats is always a result of their different paces. Lots of missing beats can usually be considered a gap. Now a list of all removed beats plus a short description of the actual scene where the music was supposed to be, including a corresponding key words. But I must emphasize here that not all of the missing score is necessarily missing because of a bad spot. On the contrary, sometimes it just needed to be done because in the editing process. Please find the amount of missing beats which are definitely bad spots in brackets. The first minutes of the garden sequence (plus musically transported parts in comparison to the piano score – assumingly arranged by Huppertz himself). Freder and the girl at the fountain. When the servants go to Maria and the kids. Keen insight in the streets of Metropolis. Change of scenary from The Thin Man at the newsstand to Gregory and Freder at the machine. Change of scenary from Freder at the machine to the parking lot with Freder’s vehicle. The beginning of Gregory’s ride in Freder’s vehicle. During the dialog at the Hel monument. 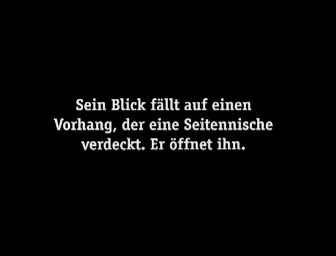 "Ich habe ein einziges Mal" (I only did it once), "Fredersen"
After Fredersen looked at his watch, to keep synchronicity of the following eight seconds when the hand is moving. 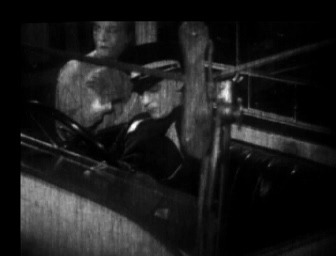 Georgy and The Thin Man in the vehicle, approx. at "Nr. 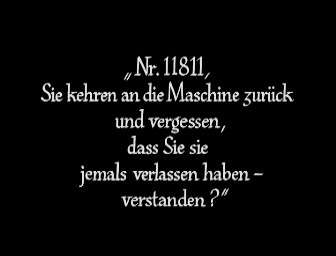 11811, Sie kehren an Ihre Maschine zurück…" (Nr. 11811, you return to your machine). 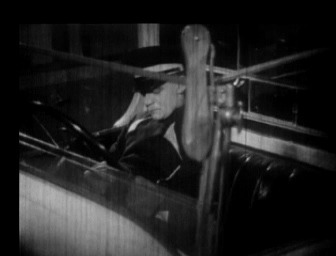 Still Georgy and The Thin Man in the vehicle. When The Thin Man deposits the money for Josaphat. 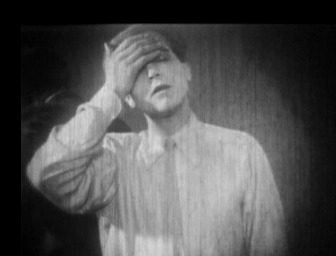 After the shots of Josaphat starring at the check in The Thin Man’s hand. During the passage after the shot of Freder on the more bouncing street. 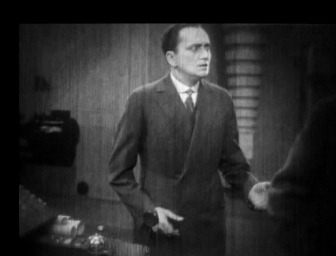 At the end of the scene with The Thin Man and Josaphat at the door. At "Der andere am gleichen Abend" (The other one at the same evening). Before "Sie wird den Glauben an den Mittler zerstören!" (She is going to destroy the faith in the mediator). 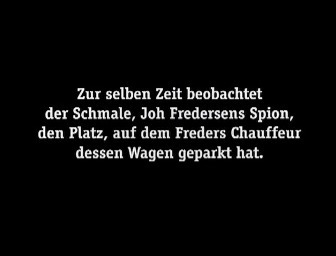 During the scenes around "Und zweifach habe ich Joh Fredersen betrogen…" (And I messed with Joh Fredersen twice). At once, 2 beats later. At "Du sollst die Tore öffnen" (You’re supposed to open the door). At the last falling down elevator. When Freder and Josaphat are climbing up the ladder in the shaft. During the workers‘ dance at the wrecked machine. Compared with the piano score. But the first 4 beats are different in the orchestra version – maybe Huppertz altered that. During the foxtrot of the Yoshiwara Train in front of the Yoshiwara Gate. When the crowd of workers is running down the stairs, before Rotwang awakes. After Freder and Josaphat dashed off. In the following Yoshiwara turmoil with phony Maria. When Grot grabs phony Maria. Freder in the mix-up plus Jospaht on the bridge. 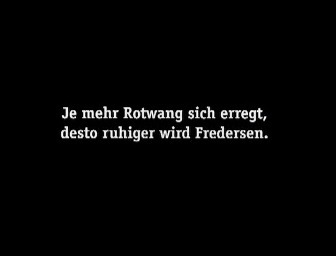 Fight between Rotwang and Freder before Fredersen arrives. Before Freder gets the final uppercut from Rotwang. 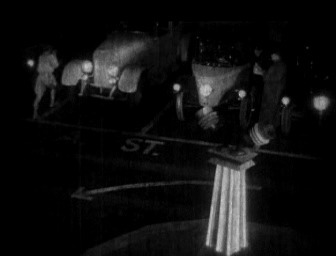 Right before the restauration was supposed to get started, the Murnau Foundation received new footage from the archives in the New Zealand. In a couple of scenes, that footage has actually been used for the final cut of the current reconstruction. The mentioned scenes are being marked in light blue. 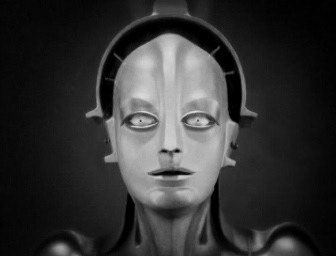 As Robert already mentioned in his comment about the differences of the scores, the new version of Metropolis is still incomplete. Sequences that are still incomplete or at least seem so, are being marked in orange. Added information to new scenes or recuts are being markes with a prefixed –symbol. The time index always follows the pattern 2001Version [2010 Version]. 32:14 [35:44 - 38:03] for instance means that scene X is missing at 32:14 in the 2001 Version but it’s in the newly reconstructed version from 35:44 to 38:03. The time index for a recut follows that pattern as well, e.g. 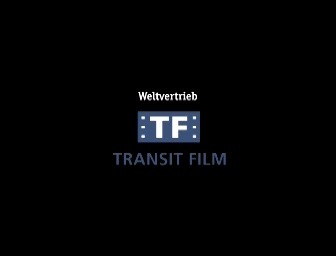 14:34 - 15:11 [16:15 - 16:54]. The newer version offers a longer opening. 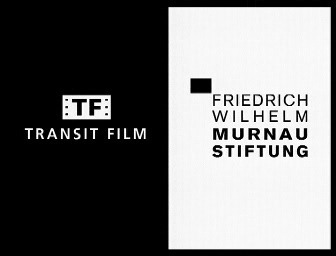 After the last title card that offers explanations and before the title card that says "Dieser Film wurde im Auftrag der Ufa hergestellt…" ("This movie was made on behalf of Ufa...") the movie still is probably missing out on the title card which shows the movie's name - "Metropolis". At least this is what comes from the censorhsip card. 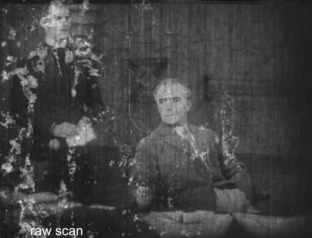 It is very much possible that this was just one of the restorers' errors in reasoning, after all, the film title is also shown during the animation after the opening. However, if you compare the censorship card to other cards and movies, it is very likely that the film title is missing. It is more of a speculation than a fect which names during the opening were shown on one title card. 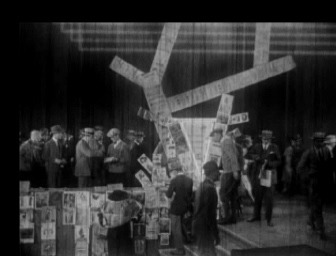 It is likely that every name (except for the list of actors) was shown on a seperate title card - the censorship card doesn't give any further information about this. 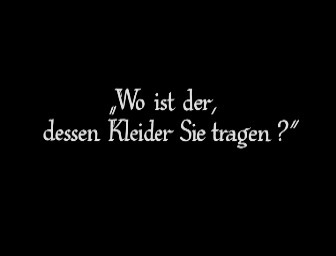 The ride of the elevator before the title card "Tief unter der Erde lag die Stadt der Arbeiter" ("Below ground level, there's the city of workers") is notcieably longer. This scene actually is a different take which originates from a different source material. The beginning of the garden sequence still might be incomplete. In the Argentinian version you at first see 2 additional shots of the usher: At first there's a medium long shot of him waving the girls nearer, then follows a close-up shot of him among the crowd of girls - he talks. 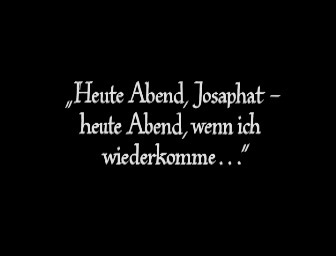 This scene probably belongs to the title card "Wer, meine Damen, hat heute die Vorzug..." ("Who of you, my ladies, is to be preferred today..."). [If you compare the scene to the score, the whole scene at the grotto does not fit to any cue of the music in any of the movie's versions; even the movie's "study edition" includes a shortened version of the score. However, the "study edition's" version of the music is probably based on one of Huppertz' revised versions which the writer of the piano score probably hasn't considered (yet?). Therefore, it is really hard to tell what the "original" scene might have looked like.] In the revised version you only see the second shot of the usher which is obviously placed wrong - the title screen "Wer, meine Damen, ..." follows way later (after the first girls leave). Then you see a girl that bends down her head; in the background you see other girls (who actually shouldn't be in this shot). After the request to turn around she suddenly stands around all by herself. Thus, the scene is incomplete. New scene in the Argentinian version: The usher pulls out a make-up stick and starts to make the girl up. 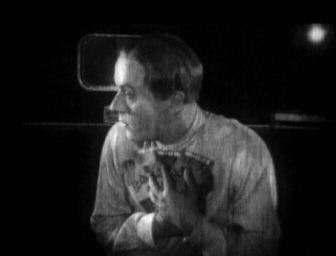 He also powders her which results in a hughe dustcloud that shortly fogs the screen - this is one of the few comical scenes of the movie. Then follows the infamous long shot of Freder entering the shot. In the 2001 version the dustcloud can be seen very briefly. Immediately before and after this scene there doesn't seem to be anything missing. Even though the Argentinian version includes a huge film tear previous to the make up scene, the new material fits in to the music very well and does not result in any gaps. 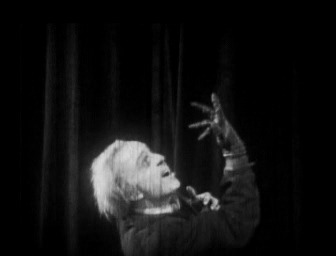 During Maria's appearance there's an extended scene: a girl comes to Frederer before the latter calmingly lowers his hand. Due to the new material, this gesture seems to become more important. Still, the garden scene doesn't seem to be complete. The longer take originaltes from the New Zealand negative image and was mixed with the Argentinian material. 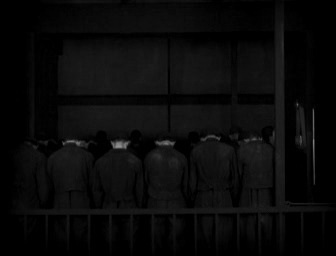 In the 2001 version, the "Moloch-scene" (workers march into the machine-moloch's huge mouth) has a far surperior image quality, even though the newer version is definitively based on the exact same take. It doesn't include any extensions, yet still, the image flickers and also includes a few artifacts. What happened? The newer version offers a longer shot of Metropolis' urban canyons. On the right side of the image you see a kind of zeppelin entering the screen. This sequence originates neither from the Argentinian nor from the New Zealand material. This take was already included in both the MoMA and the Patalas version. 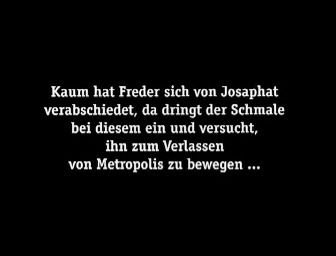 When Freders asks where the people are who once built Metropolis, his father answers it with "Wo sie hingehören..." ("They are where they belong to."). Immediately after this scene the 2001 version shows the workers using the elevator to go below ground. 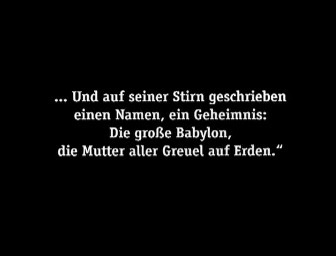 Then Freder asks "...in die Tiefe...?" ("Underground?"). 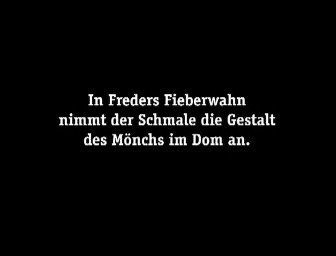 In the newer restauration, Freders looks at his father a little longer after he said "Wo sie hingehören...". 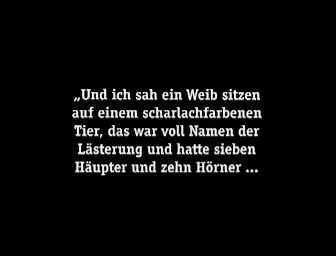 Then he asks "...wo sie hingehören...?" ("Where they belong to...?"). 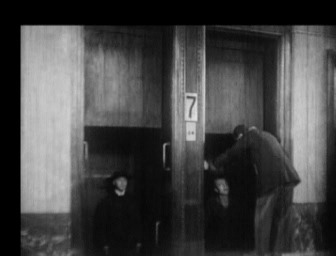 Then, the newer restauration shows the scene with the elevator. 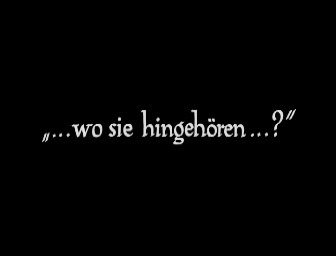 However, this version includes the title cards "Wo sie hingehören?" 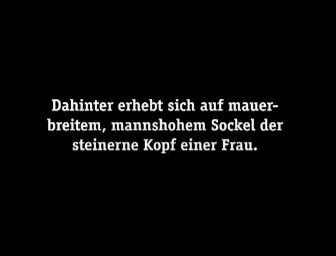 and "In die Tiefe?" during this elevator scene (they always fade in and out of each other). This is one of the newer restauration's specialities, since none of the previous versions ever included these title cards in this way. It is likely that the original version used a similar arrangement. 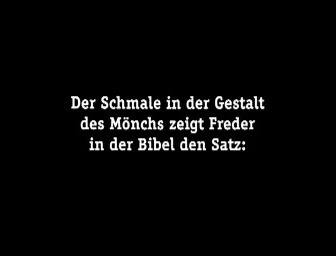 After Freder asked "...in die Tiefe...?" ("Underground?") you see Fredersen nodding. He keeps cool while Freder staggers a little. 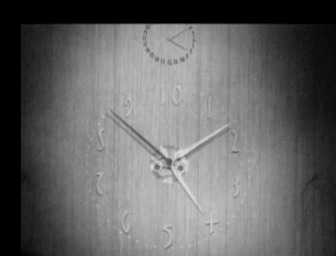 The latter then holds his head and looks at the "double clock" from the prologue. Fredersen turns away from his son. The scene which was just described goes on a little longer (this part was also included in the 2001 version). 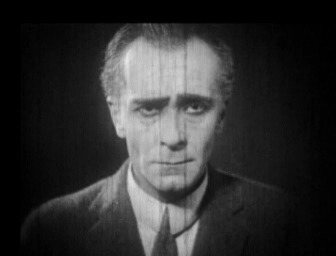 In the newer restoration, the shot of the stunned Freder was replaced by a take from the Argentinian material. 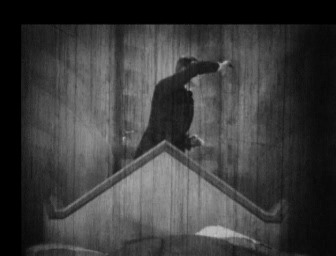 A new shot of Josaphat walking down the steps after being fired. Due to the new perspective, you get the chance to see a few more details of the house. After Josaphat was fired: Fredersen looks at the door which his son used to leave the room. Then he pushes a button on his console desk several times. 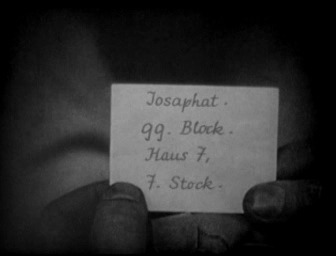 Freder asks Josaphat a few questions about the latter's residence and then writes the address down. The 2001 version instead shows a title card which describes this scene. 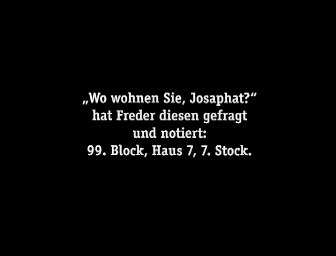 Just after this scene (which is not included in the 2001 version), there's a title card of Freder instructing Josaphat to go home and wait for him. In the 2001 version this title follows during the following scene. This correction was done due to the score's cues. 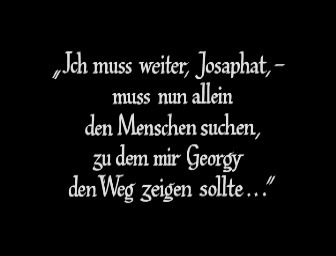 At this point, the title cards (dialogues) within this scene (Freder takes care of Georgy who's completely exhausted) were arranged differently: Georgy: "...die Maschine!...Es muss ein Mensch an der Maschine sein!" ("...the machine! There's got to be a human being operating the machine!") 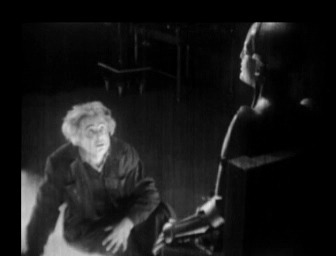 / Freder: "Es wird ein Mensch an der Maschine sein..." ("There will be a human being operating the machine...") / Freder: "ICH" ("...ME!"). These adjustments were made due to the identical arrangement in most of the older versions, the cues in the score, as well as the music's dramaturgy which was obviously wrong in the 2001 version (Freder's savior-theme could already be heard during the sentecne "Es muss ein Mensch..." instead of "Es wird ein Mensch..."). 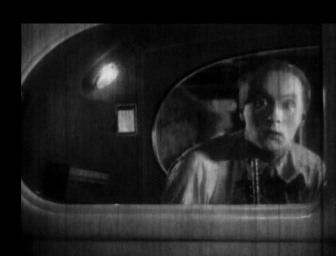 The "Thin Man" watches Freder's car. He's standing in front of a busy newsstand with a flickering neon sign. In the 2001 version you only see a title card. 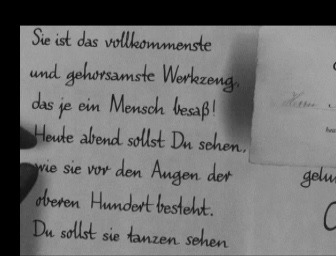 In the 2001 version, the note (given to Georgy by Freder) is shown in English. 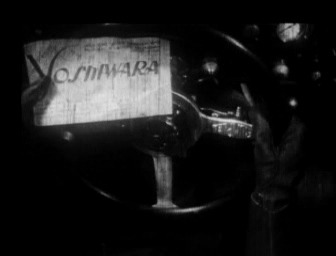 Back then, it was the only surviving shot of Georgy's ride to the Yoshiwara: At first we see the note inside Georgy's hand (who is sitting in a car). The reflection of the lights originates from the street lamps and other lights that pass the car. This English insert is supposed to be shown before Georgy finds the money inside Freder's suit. 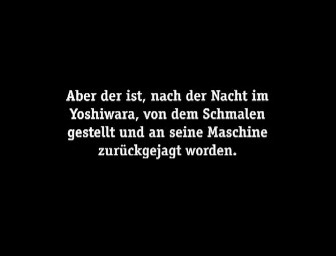 The correct insert for the machine-scene now originates from the Argentinian version and was translated into German. This commutation of the pretty similar inserts is probably attributable to an incorrect arrangement from the 1920's. 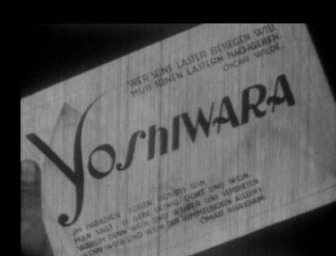 Georgy's ride to the Yoshiwara (one of the scenes that were sadly missed by Roland Schacht) after he left his machine: at first there still is a missing shot of the "Thin Man" (film tear in the Argentinian version). Georgy gets into the car and shows the piece of paper to the chauffeur. 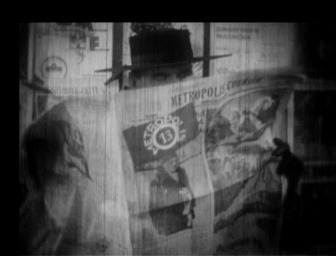 The "Thin Man" wirtes something down at the edge of his newspaper. 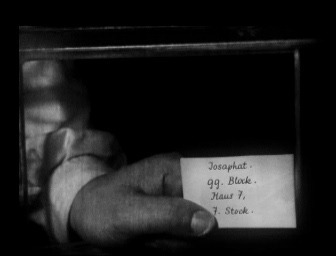 Gregory (the worker who switched identities with Freder) goes to Freder's car and shows the chauffeur the piece of paper with Josaphat's address written on it. The "Thin Man" who's still hiding behind his newspaper watches all this. With a contented smile he folds up his newspaper while Freder's car leaves the parking lot. At this point there's a gap (cut?). 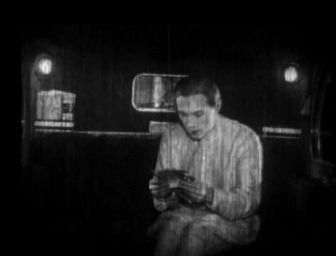 The score includes a cue named "Autoinneres" ("Inside the car"), "Licht an" ("Lights on"), and "Georgy reckt sich" ("Gregory stretches himself") - these are about 8 tacts. 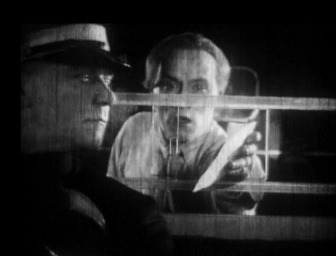 Then follows the shot of Freder's piece of paper which in the 2001 version was already shown during the previous machine-scene (Freder gives the paper to Gregory). 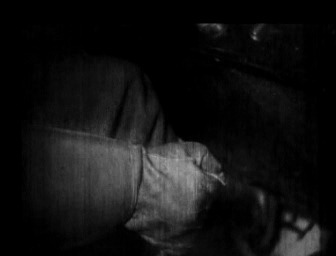 Now we see Gregory sitting inside the car; he puts the piece of paper in the pocket and return gets some money out of it. 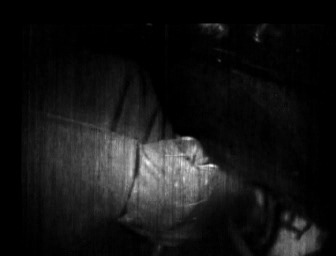 Suddenly, someone applies the handbrake, the car jolts and Gregory has to hold on to the money. 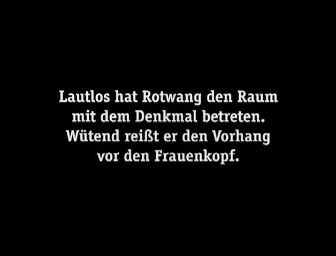 When he looks out of the window he sees a young woman (Margarete Lanner) who's sitting in the car next to his and stares at him. Gap (censorship?) at 36:43. 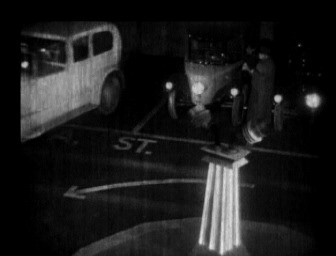 You're missing out on a scene where (according to the script) the woman's coat slides down her shoulders and she lights a cigarrette (this makes up about 8 tacts of the score). Then we see Gregory again who's obviously blinded by her beauty. The ride goes on; the handbreak is applied again, there's another jolt and Gregory auspiciously looks at the money. 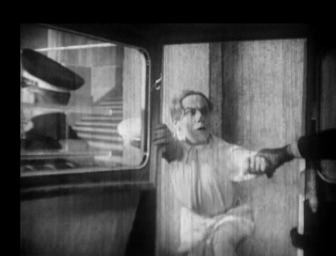 Now, someone's throwing pamphlets down from an iron grinder and a few of them fly into Gregory's car (cue in the score: "Yoshiwara"). 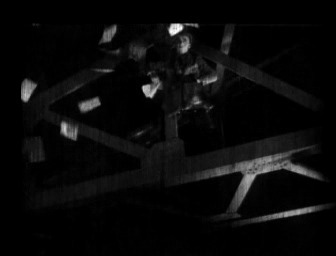 Now there's a huge amount of papers flying through the air (surrealistically exaggerated) and Gregory throws his hands in the ari. Then follows an impressive trick-sequence: Pamphlets, balloons that fade to three smiling women of different natinalities (probably prostitutes); then kisses, couples, roulette, piano keys that dash back and forth and spilt the image diagonally, a violinist (Huppertz himself? ), and all of that multiply illuminated. Then you see a dancer in the middle of the screen; at the edges of the screen you see a few couples kissing and a roulette wheel. Jump-cut (censorship?). You rudimentarily see the dancer's dress sliding down her shoulders - underneath it she's completely naked (cue in the score: "Nackte Frau" ("Naked woman"), about. 4 tacts). 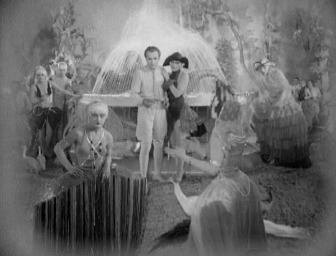 According to Miss Wilkening, there didn't use to be censorship in Argentina back then, howeder, most of the shots that are missing here seem to have been cut out due to censorship (scenes like these are not censored later in the movie though). 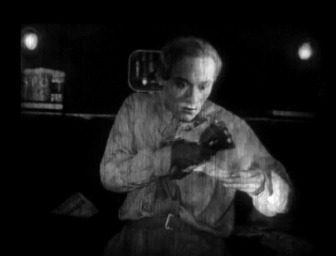 Maybe one of the projectonists cut his favorite shots out for his private collection. The movie continues when the scene fades in and we see Gregory who is obviously confused and aroused. He then shows the chauffeur the Yoshiwara-paper and he turns the steering wheel. 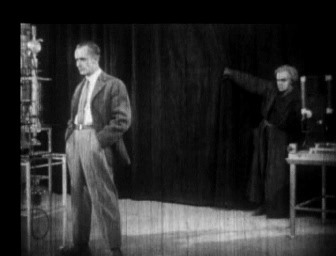 After we got to know Rotwang we see the following events in ONE long shot: At first you see Fredersen from behind, standing in front of a huge curtain. At the left and right corners of the image you see long drawstrings with a big cordon. Fredersen goes towards the left one and slightly pulls it. The curtain slowly opens to both sides and behind it you see the Hel's memorial in full sice (it's about 3 times as big as Fredersen). Even though you only see Fredersen from behind you can tell that he's moved by the sight of this statue and slowly moves towards it. Then follows an (almost) close-up profile shot of Fredersen (music: adagio, piano, Hel's Theme) looking upwards. 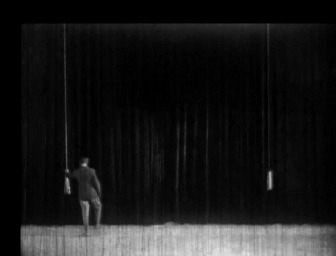 He grabs the curtain fabric. 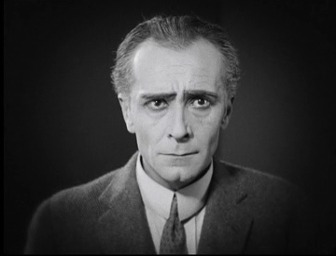 Alfred Abel really does a good job in this scene - so far we only knew his character - Fredersen - as a coldhearted monopolist, however, at this point he reveals another part of the character - and that with a few facial expressions that are not at all expressionistic which really result in a sort of "painting" of emotional releases. Fredersen lowers his head - obviously in deep inner pain - breathes heavily, raises his shoulders and then looks back up again. Then you see the inscription on the statue's socket (which was reconstructed from a still picture - just as in the 2001 version). 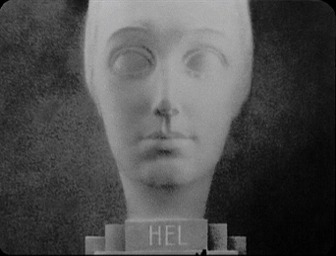 The scene where Fredersen exposes the Hel memorial actually is a pretty neat and tricky shot: the lower half of the screen is real, while the upper half (with the head) actually is a mirrored model. To open up both the real and the mirrored curtain (which probably didn't even have folds) at the same time really is a masterpiece of work (especially because it doesn't move vertically)! If you look closely, you will find minor deferrals towards the beginning of this sequence. 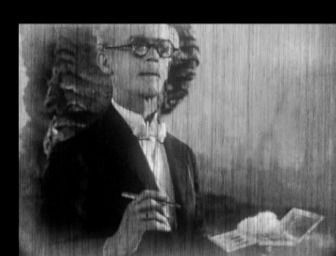 The short close-up shot of Fredersen which was included in the 2001 version (it probably resembles him looking at the statue's inscription) was replaced by a completely different take. 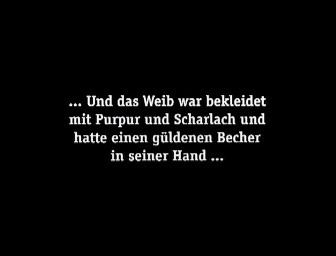 It was correctly placed ahead of the title card "Lass die Tote ruhen..." ("Let the dead rest in peace..."). 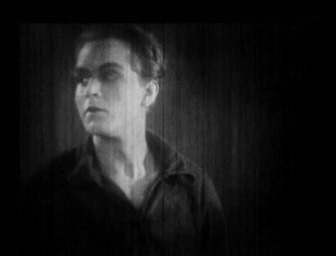 Then follows something, the audience didn't see before: Fredersen slowly turns his head to the side. At this point there has to be a pretty long missing part. 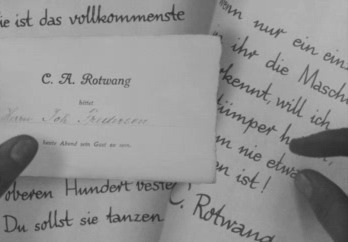 The reconstruction masks the gap by switching the order of the scenes (the correct order actually is not really reconstructable): a profile shot of Fredersen; you see Rotwang's shaking hand in front of his face [this scene immediately follwos the title card "Ein Hirn wie das Deine..." ("A brain like yours....")]. This is probably an alternative take of the shot which was shown before the respective title card. The following shot of Fredersen shows him from behind. Raging Rotwang stands in front of him should probably also have been shown before the title card. 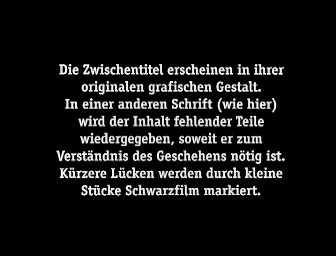 The score fits to the complete Hel-sequence until you see the title card "Ein Hirn wie das Deine..." ("A brain like yours....") - they were forced to cut 8 tacts out. What are we missing? The score includes the cues "Ich habe ein einziges Mal..." ("I only once...") [this part had to be postponed, originally it would've been heard 7 tacts later] and "Fredersen". The script says: "A ghastly laugther rattles in Rotwang's chest without becoming a loud noise. It looks like his face turns into an eternal torturing darkness - the only things that flicker are his eyes. You get the impression that these eyes are not looking at the man in front of them but rather an inescapable memory. 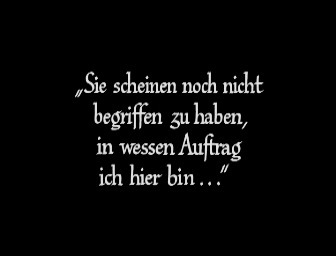 Then he says: "Ich habe ein einziges Mal..." ("I only once..."). 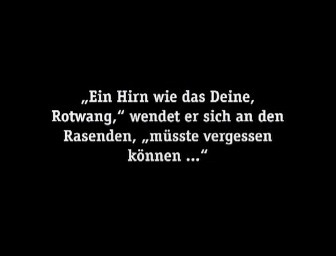 Rotwang shouts at Fredersen while heavily gesticulating: "Ich habe ein einziges Mal im Leben etwas vergessen: Dass Hel ein Weib war und Du ein Mann..." ("I only once in my life ever forgot something: That Hel was a woman and you're a man..."). Rotwang threateningly holds his hand towards Fredersen (this material originates from the New Zealand source). 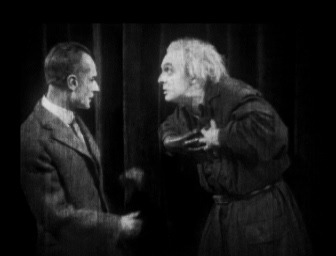 The following scene has almost the same runtime in both versions, however, it originates from different source material in both versions: Rotwang goes on talking and heavily gesticulating; Fredersen seizes him by his right arm. Before Rotwang asks Fredersen if losing a hand would be a price too high to pay in order to recreate the Hel, Rotwang looks upwards with a grin on his face (unfortunately, there's a huge jump-cut). 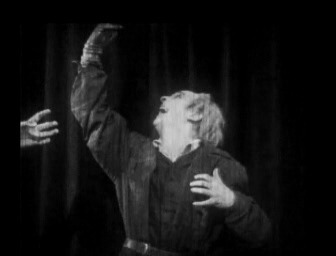 Suddenly, he triumphantly throws the hand made of steel up in the air [he does the same thing in the scene with the machine man when you see the title card "Nun…lohnt es sich nicht, eine Hand zu verlieren...?" ("Well... isn't it worth losing a hand...? ")], demonstrates it's agility, and points upwards (to the laboratory?). 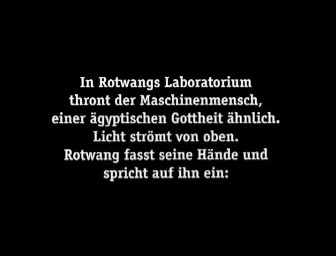 After Rotwang introduced Fredersen to the machine man, the scene used to end like this: Rotwang says "Noch 24 Stunden Arbeit, und kein Mensch, Joh Fredersen, wird den Maschinen-Menschen von einem Erdgeborenen unterscheiden können --!" 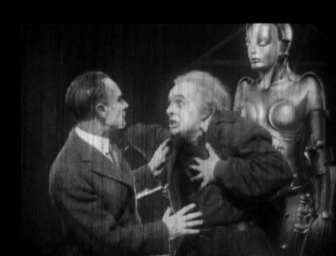 ("Only 24 more hours of work and no human being,Joh Fredersen, will be able to distinguish the machine man from a real human being --!"). Rotwang ends his speech by triumphantly putting his finger on Fredersen's chest who (in a close-up shot) puts his hands on his head. First he looks at Rotwang, then upwards to the machine man. 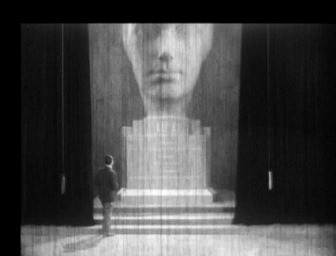 Then you see the machine man's head, followed by a fade-out. Actually, we were missing out on 2 shots which fortunately were included in the Argentinian version: first of all, the fade-out is an added edit . 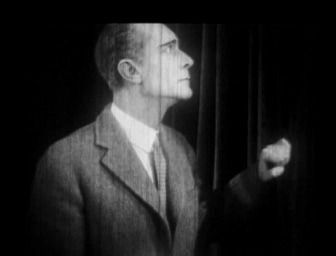 Then we see Fredersen (close-up shot) who looks at Rotwang (he's obviously confused, horrified and at the same time fascinated). 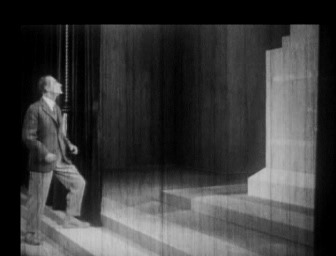 Then he lowers his hands (long shot) and seems to try to touch the machine man (just as he tried to touch the Hel memorial). Rotwang - defensively spreading his arms – intervenes again. These 2 shots ratchet Rotwang's and Fredersen's conflict up. The following (pretty impressive) scene closes a gap which was previously unknown (even in the "study edition"). You see Rotwang, motionlessly standing around like a lurking evil animal. 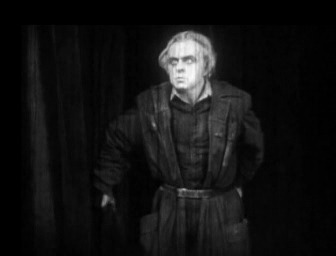 He stares at Fredersen and keeps the curtains shut. Fredersen - with his back to Rotwang - looks focused and thoughtful. 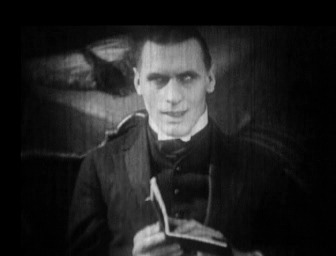 Then follows a closer shot of Rotwang who looks at Fredersen with a very evil and scornful glimpse. This shot is followed by a closer shot of Fredersen from the back who seems to digest deep inner pain. Cut back to Rotwang; he slowly raises his head and puts his hand in his cooat pockets; his look still seems to be quite scornful. He asks: "Und was führt dich zu mir, Joh Fredersen?" 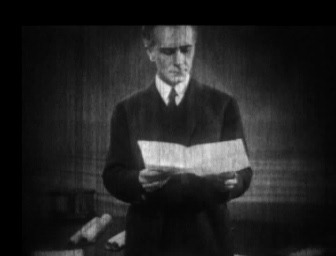 ("And what brings you here, Joh Fredersen?"). 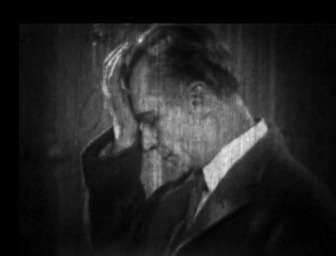 In sheer despair, Fredersen puts his hand on his head and then let's it go again. 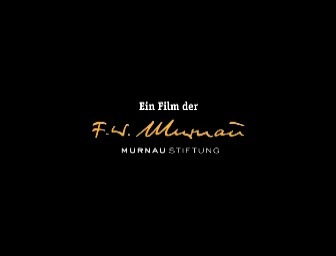 This scene adds 24.5 seconds to the movie (not including the title card that says "Und was führt Dich zu mir...", since it is shown at a different point in the 2001 version). This scene (even though it's very short) is probably one of the most interesting rediscovered passages of the whole movie. It really sticks to your head. Rarely were the rivalry between the two and (even more important) the 2 characters themselves ever characterized in a better way than in these few shots. 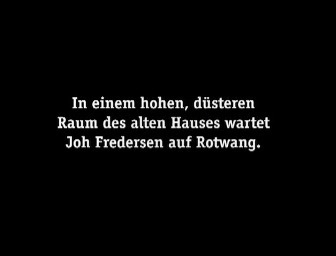 Re-Cut of the title card where Rotwang asks "Und was führt Dich zu mir, Joh Fredersen?" 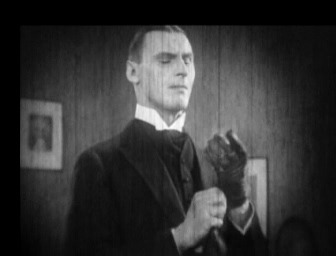 ("And what brings you here, Joh Fredersen?"). After Freder ended his 10-hour-shift and exhaustedly walked out of the shot, you in the following scene see steam coming out of the chimneys. In the newer version this shot is slightly longer. Maria tells the workers the story of the tower of babel. 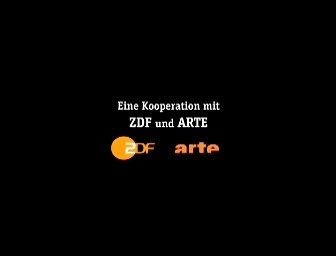 The title card "Auf! Lasset uns einen Turm bauen, dessen Spitze bis an die Sterne reiche!" ("Come! Let us build a tower that's high enough to reach the stars!") is shown 2 seconds earlier in the 2001 version (which was actually done to cover up a jump-cut). We see the crypt from above; the first few workers go away. 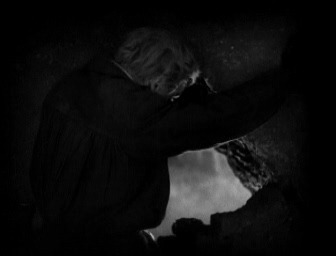 Then follows a new scene: Behind the wall we see Fredersen who looks through the little gap inside the wall. Then he turns away and leans against the wall; his facial expression looks thoughtful. Rear view of Rotwang who observes Maria and her supporters from his hideout. 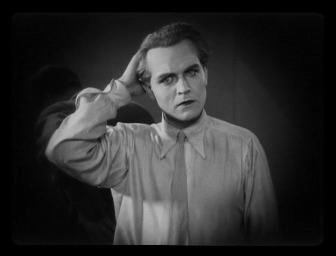 Short shot of Rotwang eagerly looking at Fredersen. Several shots of Rotwang who still observes Maria and Freder. The following mistake was included in both versions, so there's no difference at this point. For the sake of completeness: The medium long shot of Maria (shown from behind) standing in front of freder was placed at the wrong point. She points to the left. Actually, the scene should follow after the title card "Du Narr! Jetzt sollst Du auch das Letzte verlieren..." ("You fool! Now you will lose everything..."). This explains why Freder looks to the left (the direction Maria points to) in the following shot. Rotwang comes out of the shadows of a wall and observes Maria with a sharp eye. Maria just departed from Freder. NOTE: This is a very loose translation of the German text! According to our preliminary findings, these pictures from the scene (which will follow soon) where the "Thin Man" turns into the preacher in the cathedral (this happens because of Freder's febrile delirium). 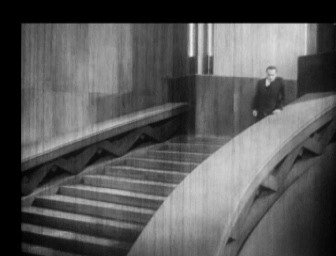 However, if one compares these findings with the actual scene (which fortunately was found not long ago), we see that Fritz Rasp is standing on a different pulpit (which was richly ornamented and adapted to the look of Freder's bed)! This means that the info about the scenes probably refers to the cathedral-scene and fills in the (still missing) sequence of the image Freder sees. 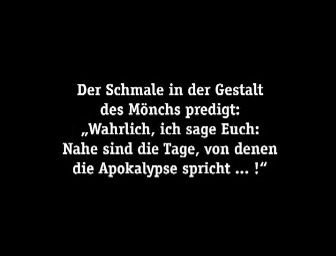 In the Argentinian version we see a (Spanish) title card that says "Wahrlich, ich sage Euch: Nahe sind die Tage, von denen die Apokalypse spricht!" ("Verily, I say unto thee, the days of the Apocalypse are nigh!"). What do we learn from this? 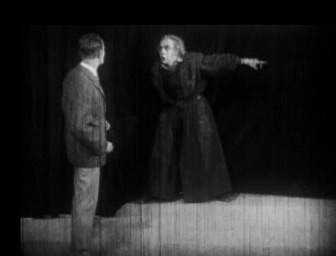 Does that mean that the "Thin Man" actually is the monk from the cathedral who in the novel is called "Desertus" (who is the "Gothics" leader and one of Joh Fredersen's arch enemies)? Maybe Rasp is the monk so that the conversion of Freder's bed is clearer. 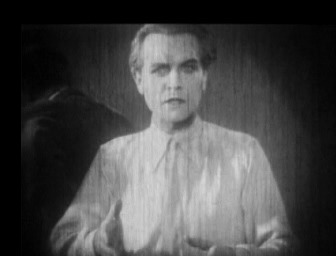 After all, Fritz Lang in "Dr. Mabuse" used Rudolf Klein-Rogge to play the part of the hotel manager because Mabuse (who was played by the exact same actor) just moments ago masqueraded as the hotel manager. 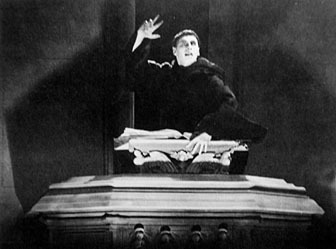 Anyways, the medieval hymn "Dies Irae" (Thomas of Celano, 12th century) which is often described as the "Thin Man's" leitmotif really fits to this scene. 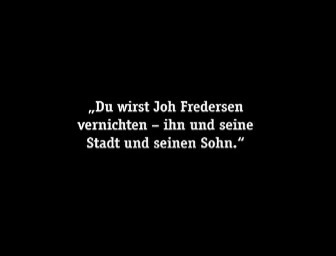 He repeats his prophetic gesture (which you can see on the still picture) at Freder's bed as well as in the scene when he says "Tausende werden morgen in Wut und Verzweiflung fragen: Joh Fredersen, wo ist mein Sohn?!" 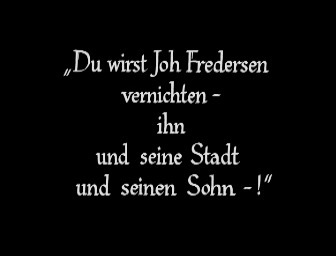 ("Thousands will be angry and desperate and then ask: Joh Fredersen, where's my son?!"). 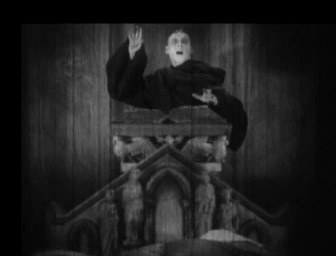 At this point you again hear the "Dies Irae" (similarly powerful as in the cathedral scene). Unfortunately, the still picture was not included in the restored version, therefore we miss out on one of the important sequences that add to the insight of the movie. 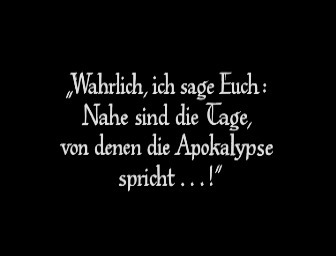 But let's move on with the movie: the title card "Verily, I say unto thee..." (one of the few title cards that in the Argentinian version were included in the original German language) prophetically flickers like a blaze. 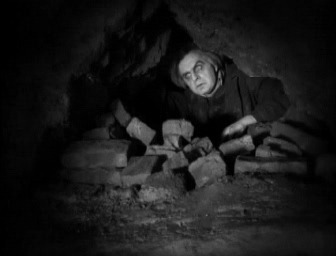 Too bad that this flickering was not included in the newer version. Then follows the page from the bible. According to the script, the monk puts his hand on it – this doesn't happen in any of the versions. Maybe we're missing out on something here. There are a few old letters that represent a part of the book of Revelations. 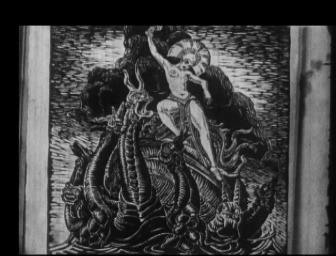 In the upper left corner we see the image of the whore of babylon which is very similar to the "fake Mary" when she later rides heavenwards on the scarlet animal. Then follows a cut to the machine man. Then we see Rotwang sitting in front of it. 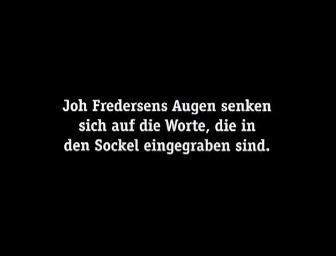 He raises his head, then his arm and says: "Du wirst Joh Fredersen vernichten. Ihn und seine Stadt – und seinen Sohn." ("You will destroy Joh Fredersen. Him and his city – and his son."). Cut to a long shot of the cathedral and Freder. In the 2001 version the missing scenes were replaced by title cards. At this point we find out that there's a previously unknown gap: After Freder leaft the and before the few shots of him meeting Death and the Seven Deadly Sins are shown we see 3 additional shots that define the room a little further: medium long shot of a pillar inside the cathedral. Behind it there's a wall with a collecte (or something similar). Freder turns around and a few people pass him. A woman throws some money in the collecte and then makes the sign of the cross. Then follows a closer shot of Freder who looks around. Back to a medium long shot - he leaves the shot. Then follow the scenes of Death and the Seven Deadly Sins. Freder left the cathedral. 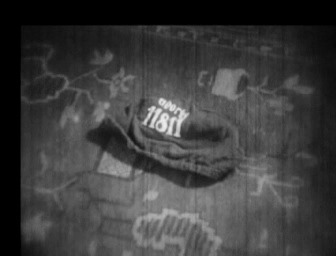 Then follows a close-up shot of the hat with the inscription "Georgy 11811". 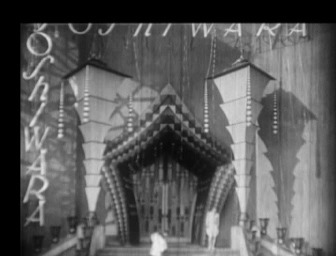 Long shot of Yoshiwara's gate which we know from a later scene, however, this time we see it in broad daylight. Streamers and garlands indicate a wild night. The gate closes. Gregory just came out of it and is obviously tired out. 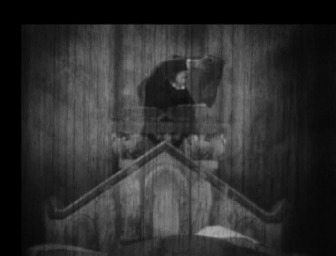 A charwoman cleans the stairs (the music is an alienated version of the theme of Gregory's car ride). 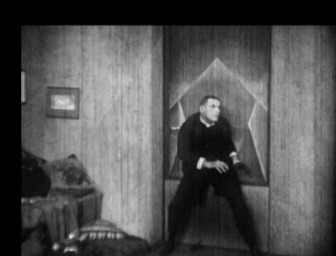 Unfortunately, the image was cut in a way that we see the full body of neither the charwoman nor Gregory who walks down the first few stairs. 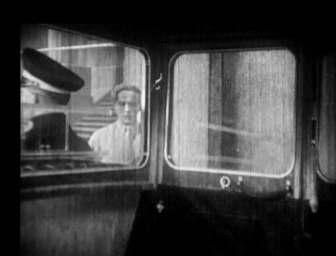 Then follows the view out of Freder's car which is standing at the bottom of the stairs; Gregory walks down to the car and gets in. 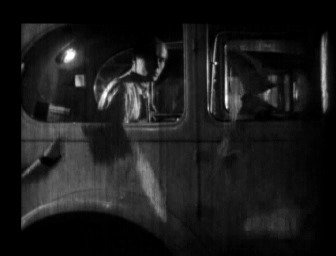 Suddenly, there's a hand entering the shot which seizes Gregory by his wrist (music: Dies Irae) and pushes him inside the car. It's the "Thin Man". Georgy tries to get the hand off his wrist. 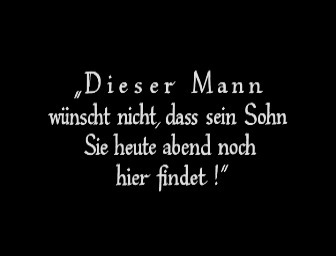 The "Thin Man" asks "Wo ist der, dessen Kleider Sie tragen?" ("Where is the man whose clothes you're wearing? "); then he squeezes Gregory's wrist some more. 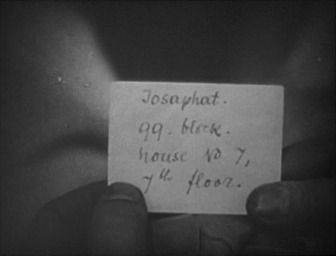 Gregory drops a little piece of paper: "Josaphat, 99th Block..."
Medium long shot. 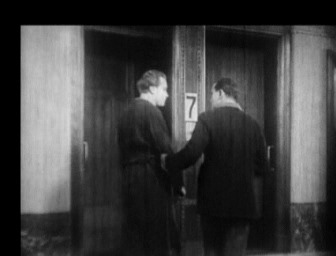 Freder and Josaphat arrive at Josaphat's apartment. 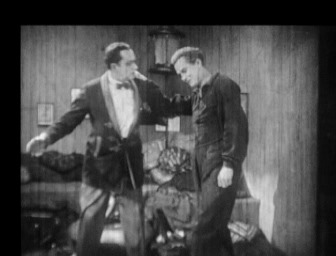 Freder is wearing a workers outfit while Josaphat wears a fashionable smoking jacket. The apartment itself is interesting, decorative, artistic, and obviously owned by a wealthy person. The camera pans through the apartment. Keeping in mind that this is a Lang movie, the scene's arrangement is not too artistic. 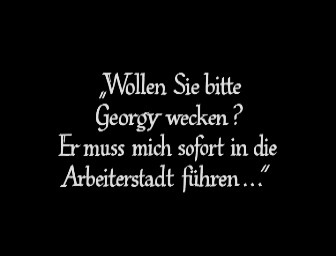 Freder wearily sits down on his armchair and asks: "Wollen Sie bitte Georgy wecken? Er muss mich sofort in die Arbeiterstadt führen" ("Could you wake up Gregory? He has to bring me to the worker's city.") 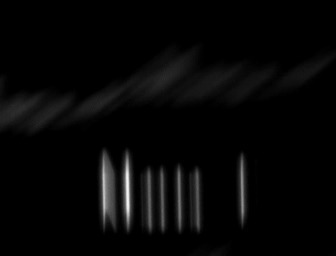 [music: machine music from Georgy's "Paternostermaschine" as it is called in the novel; it sounds menacing]. 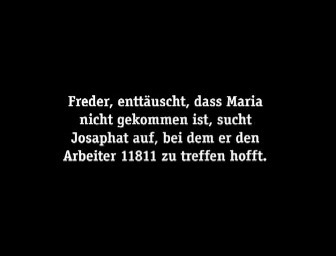 Josaphat apparently doesn't understand whom Freder is talking about. 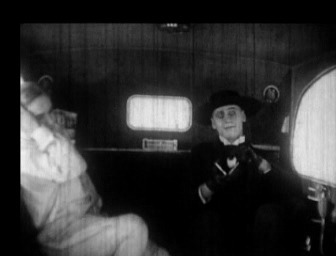 Georgy and the "Thin Man" inside the car. 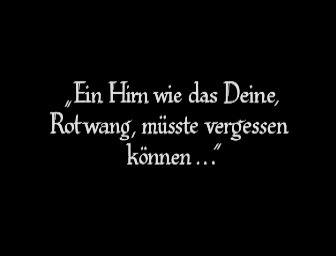 The "Thin Man" gently puts the piece of paper in his cigarette case; then he turns back to Gregory and looks at him with a demonic/evil look: "Sie kehren an Ihre Maschine zurück..." ("You'll return to your machine..."). Georgy nods - which looks as if he's suffering torment - while his companion picks up the car phone to issue instructions. The score shows that there are 5 missing tacts - it's unknown whether or not we're missing out on something. It's also possible that the difference originates from the different length of the Argentinian footage. 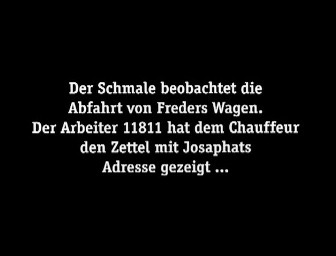 Freder and Josaphat. 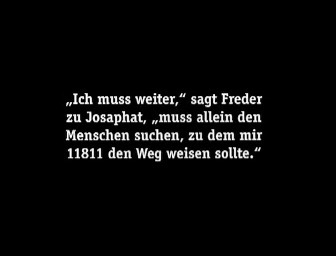 Freder sits on his armchair and suddenly jumps up (there's a little jump cut in between the first shot and the following close-up shot: Freder is suddenly standing and has his hands on Josaphat's shoulders). 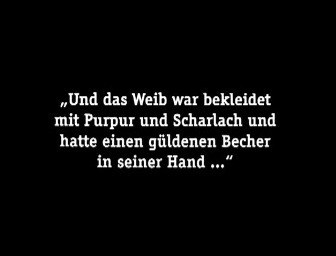 He says: "Ich muss einen Menschen haben, der mir treu ist..." (I need a human who's completely faithful to me..."). 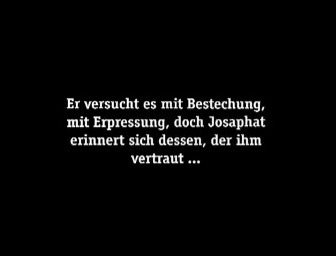 Josaphat auspiciously puts his hands on his chest and says "Ich" ("Me"). 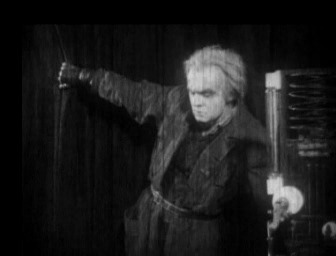 Freder takes Josaphat's hand and puts the other one on the latter's shoulder [music: a longer transition to the Freder-theme which is (from a musical point of view) so unique for the score that it's a pity that we only hear it once in the movie]; then he turns away with a an emotionally transfigured look: "Ich muss weiter ... muss allein den Menschen suchen, zu dem mir Georgy den Weg weisen sollte" ("I have to move on... got to search the human being Gregory wanted to bring me to"). 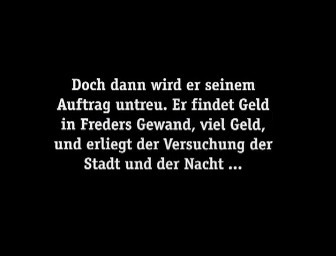 Freder continues: "Heute Abend, wenn ich wiederkomme." ("Tonight, when I come back."). 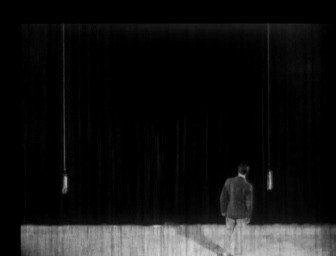 The two of them leave the screen in a medium long shot. 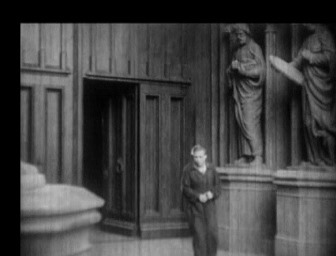 The next shot shows the two of them (entering the shot from the left) at the paternoster (nr. 7) in front of the apartment. It's very much possible that we're missing out on a small piece of this scene since they arrive at the paternoster very early - earlier than acutally possible, considering the distance from A (apartment) to B (paternoster) - later there's a scene that shows a small lobby they would've had to pace in order to get to the lift. 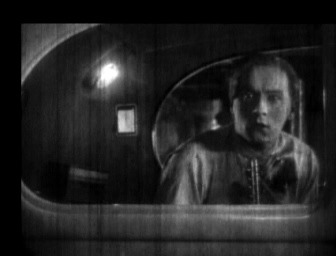 They bid goodbye and Freder enters the cabin that is just going down. 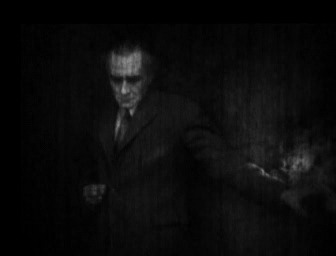 At the same time, the "Thin Man" appears in the cabin that is moving upwards [music: Dies Irae]. He steps out of the paternoster and almost coincidentally bumps into Jospahat - he seems to be quite pleased by this coincidence. 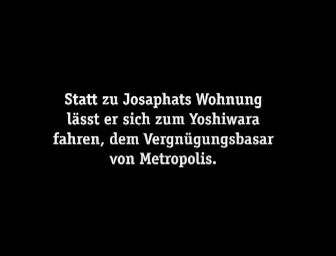 Josaphat is shocked. 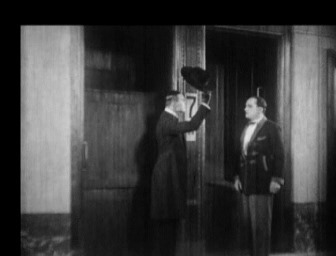 The "Thin Man" mechanically greets him by picking up his hat; he acts quite polite. 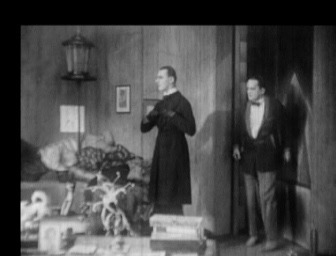 In the background you see a page going up the paternoster with a few small packages and a bouquet while on the other side a woman in the newest style of 1920th's fashoin goes down the paternoster. 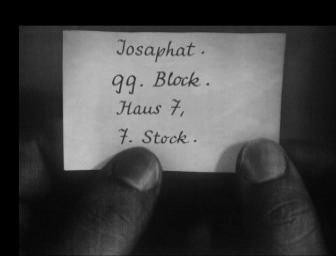 The "Thin Man" goes towards Josaphat's apartment whitout asking the owner for permission. 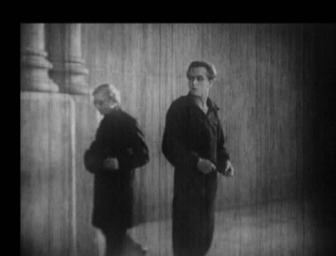 Josaphat follows him insecurely [the music gives us a new, quite interesting theme which re-occurs 3 times over the course of this scene. In a congenial way it underlines the "Thin Man's" character with its playful and "dance-like" style on the one and the "painfully alienated" harmonic structure on the other hand. In the movie's context it especially underlines the "Thin Man's" character traits which one could call latent cussedness - he's a little sadistic, slick, dangerous, and at the same time very passionate about what he does]. 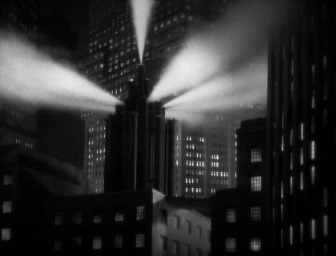 The two of them enter the apartment; the "Thin Man" puts his hat on the wall in the apartment's lobby; Josaphat switches the lobby's lights off and the "Thin Man" enters the next room, takes a look around, and slowly puts his black leather gloves off. 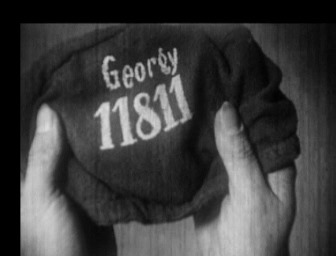 Close-up shot: he takes a look around and suddenly notices something - the cap with the writing "Georgy 11811". 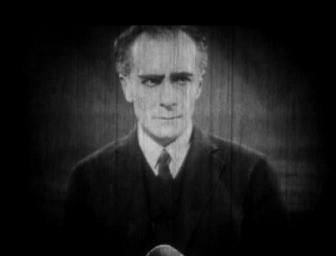 Then you see the "Thin Man" from behind smiling over his shoulder. Josaphat turns to him with a quizzical facial expression. 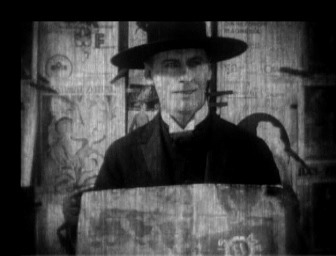 The "Thin Man" doesn't react and just keeps on grinning. Confused, Josaphat puts his hands in his pockets. 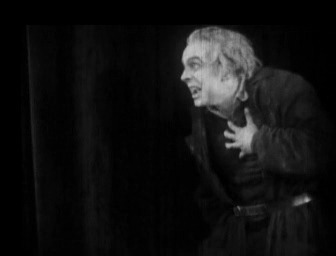 The "Thin Man" suddenly starts running and grabs the cap; Josaphat fails to react in time. 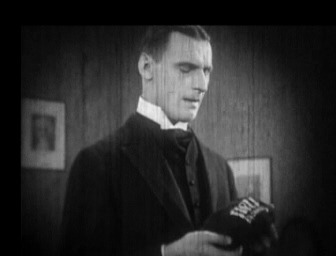 The "Thin Man" picks the cap up and reads the label. 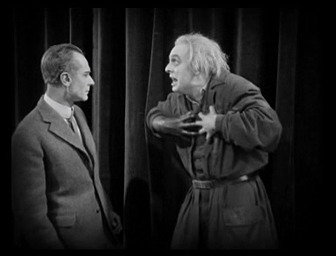 Enquiringly, he shows it to Josaphat [music: whe hear the longer "Thin Man"-theme]. Josaphat acts amazed, as if he didn't know what this item is supposed to be and as if it was irrelevant. 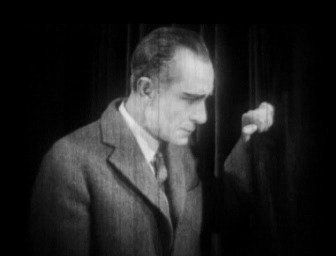 However, you can see that he's very nervous and anxious when he looks at the "Thin Man" from the corner of his eye. 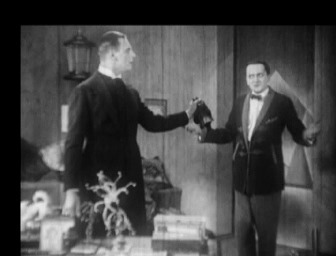 The "Thin Man" still holds the cap in his hand and emphatetically shows it to Josaphat. 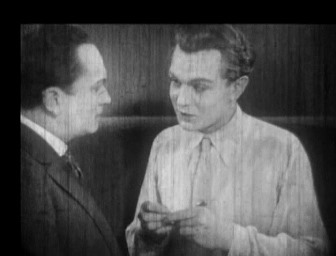 Josaphat tries to beat his nervousness and does a kind of "I don't know"-move and tries to distract the "Thin Man" by offering him a cigar. 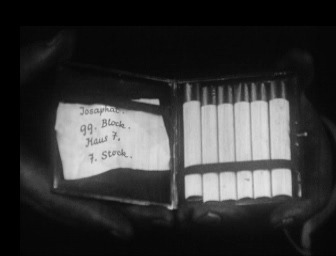 The "Thin Man" hardly reacts, slowly puts his hand in his breast pocket and pulls his cigarette case out of it; he opens it up and at first it seems as if he wanted to offer Josaphat one of his cigarettes but Josaphat suddenly falters. 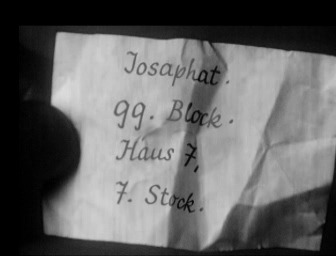 Close-up shot: the piece of paper with Josaphat's address written on it inside the case. 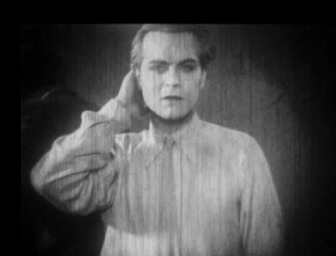 It seems as if Josaphat wants to move towards the "Thin Man" but he falters. The two of them are facing each other. 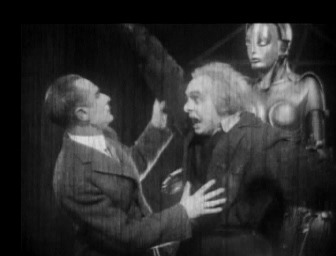 The "Thin Man" triumphantly looks at Josaphat (who is quite nervous). 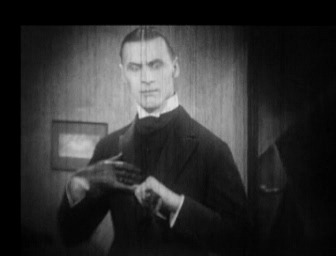 The "Thin Man" gestures [the gesture seems to say "So you don't want to smoke? But do you mind if I smoke...?"]. 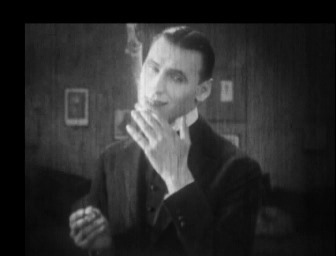 Close-up shot of the "Thin Man" who grabs a cigarette [you hear the "Thin Man"-theme], lights it with a superior grin and smokes delightfully. 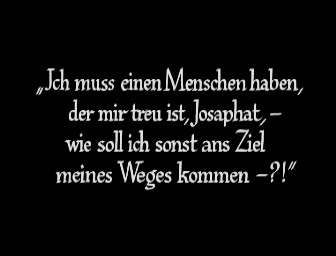 The "Thin Man" turns back to Josaphat: "Also - Welchen Preis verlangen Sie, um diese Wohnung und Metropolis heute Abend verlassen zu haben?" 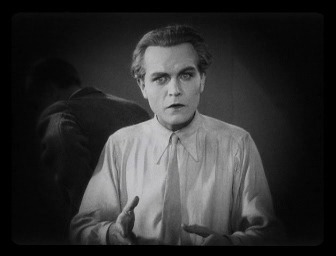 ("So - what did they charge you for you to be able to leave this apartment and Metropolis tonight?") [music: Dies Irae]. 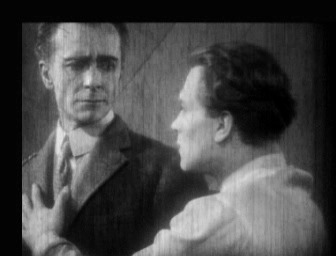 Josaphat indignantly puts his hands on his hips and insitently talks to the "Thin Man". The latter calmly pulls out 2 bundles of money and puts them on the table. 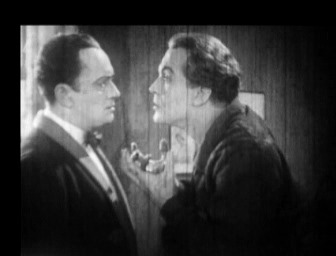 The "Thin Man" eagerly looks at Josaphat who picks up the money and throws it in the "Thin Man's" face. This movement is precisely accompanied by the music. 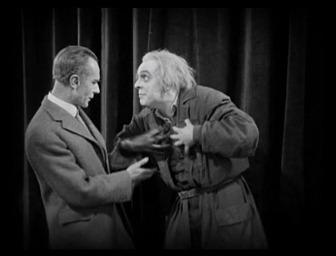 Josaphat angrily shows the "Thin Man" the door who gingerly wipes off the fluff from his frock-coat and sits down on the armchair. 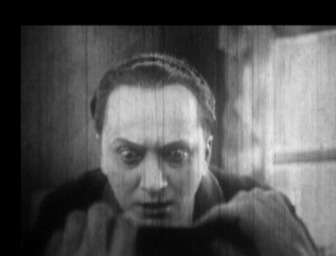 Josaphat shouts at the "Thin Man" who then pulls a checkbook out of his pocket. 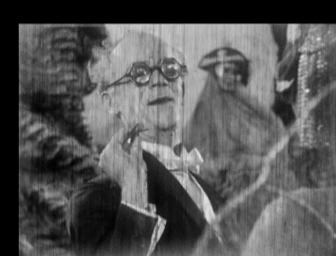 After a shot of Josaphat's hands (he seems to want to choke the "Thin Man" to death) we see a close-up shot of the "Thin Man" who doesn't seem to notice Josaphat's gesture. Josaphat screams "Get out!" and the "Thin Man" (with an evil look) says: "Sie scheinen noch nicht begriffen zu haben, in wessen Auftrag ich hier bin!" ("You don't seem to know who sent me here!") [music: The Fredersen-theme (dominant and massive)]. 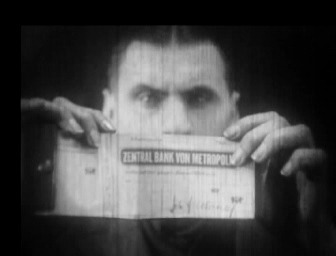 The "Thin Man" hands Josaphat the checkbook. Josaphat looks at the check with Fredersen's signature on it - his look is quite shocked. 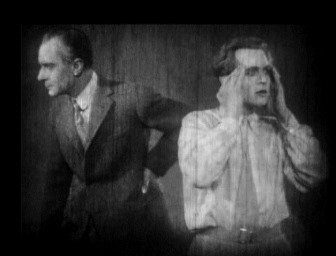 The rest of the scene suffers from an immense film tear and therefore only is a little fragment of what would've followed: According to the score there at first is a huge gap; then follows the cue "The '"Thin Man"' stands up", followed by the cue "This man doesn't wish for his son to be found here today" (which is included in the movie). 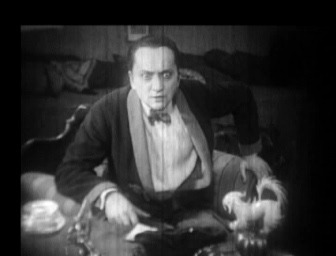 We're also missing out on a scene where Josaphat dizzily walks to the armchair to sit down, followed by the "Thin Man" writing another check and putting it on the table. We're missing out on ab out 10 tacts of the score. 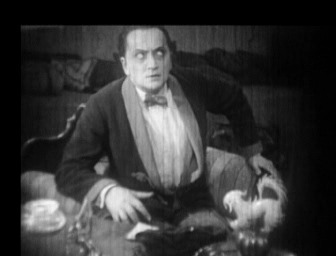 Then we see Josaphat sitting on the armchair - he's obviously shocked and looks up at the "Thin Man". 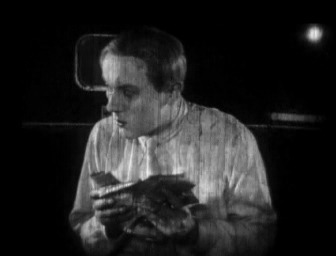 The "Thin Man" (who is standing around holding the cap in his hand) shortly hesitates and then throws the cap on the table. 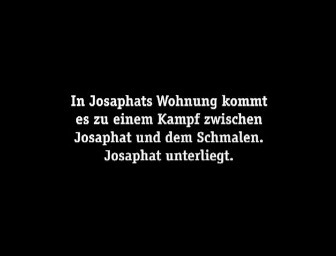 Josaphat's look follows the cap. Then we see the check and the cap on the table. 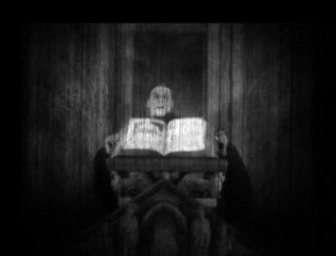 Josaphat tensely sits on the armchair - it looks like he's about to jump up [music: Dies Irae]. 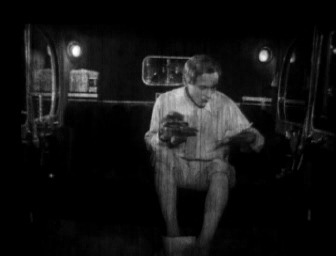 The "Thin Man" puts on his gloves. Josaphat takes the opportunity to get the cap from the table (due to the film tear we don't really see the movement that well). 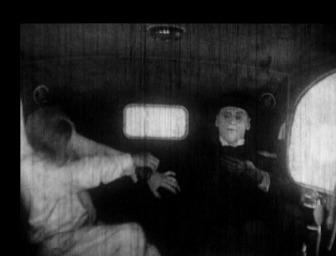 Then he runs to the door but the "Thin Man" quickly reacts. They both wrestle for the cap in front of the door. 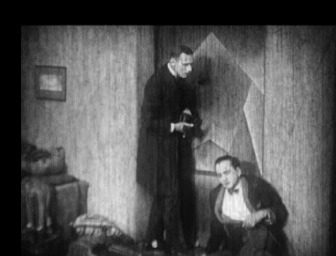 Then Josaphat falls down (and out of the shot) and the "Thin Man" still is in an attack position. 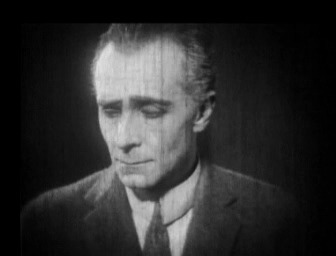 Longer film tear (one of the cues in the score: "Josaphat falls down"). 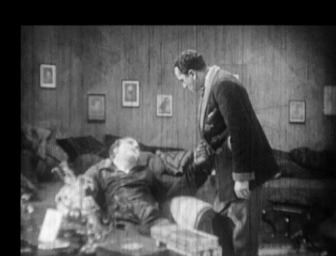 You don't see Josaphat picking up an armchair to throw it at the "Thin Man". The armchair breaks - there's a shot of the remains lying on the floor. Josaphat pegs to the doorhandle. We're missing out on 15 tacts of the music. Then the movie continues. 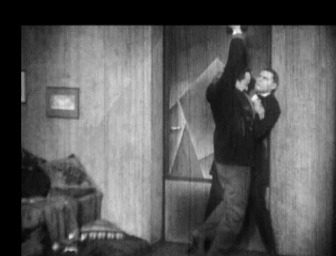 They wrestle in front of the door and Josaphat is almost on the ground while the "Thin Man" tries to pull him away from the doorhandle. 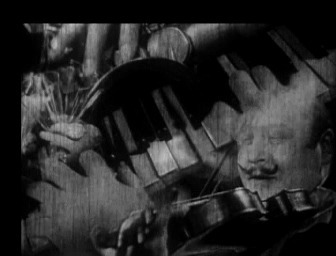 Close-up shot: There are several shots of hands wrestlings and Josaphat's face contorted with pain. 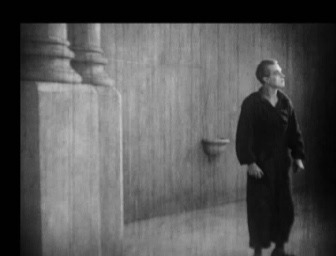 Finally (distorted by many film tears) the "Thin Man" is able to pull one of Josaphat's hands away from the doorhandle and twists his arm around. Long shot: Josaphat collapses. 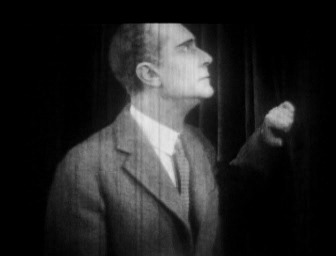 The "Thin Man" gets up, takes his gloves and bends to Josaphat who's lying on the floor and rubs his wrist. 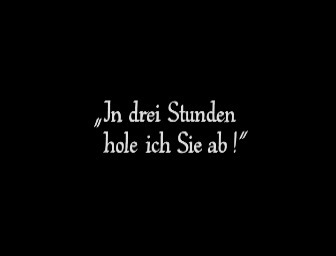 The "Thin Man" says: "In drei Stunden hole ich Sie ab!" ("I'll pick you up in three hours!"). Subsequently: The "Thin Man" goes outside and locks the door. When Freder comes to Rotwang after the creation sequence, we see (after Freder asks for Maria) a shot of Maria lying in the laboratory and her head falling to the side. This shot (noted with the prompt "Maria" in the score) in the new version is a duplicate of the one all of the earlier versions use after the creation when the false Maria opens her eyes (at 1:25:54 in the 2010 version). It cannot be said whether this shot was used in the Argentinian version too because this sequence was lost (worn out). The 2001 version shows only the last part of the shot in which the head already leans to the side after "Where is Maria?" If one would try to remove the shot from the end of the creation sequence there would be a rough jump which, however, could have been caused by the use of various shots from different versions for the 2001 reconstruction. 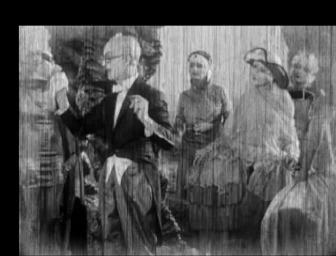 After Rotwand has told Freder that Maria was at his father's, a short but essential scene is following, which explains why the false Maria is dancing in front of the High Society. 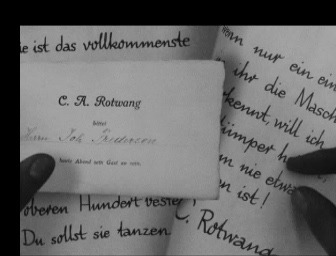 Joh Fredersen is in his office and opens a letter from Rotwang, which says that she was the most complete and obedient tool ever made and that he was going to see her dance in front of the top 100 that night. 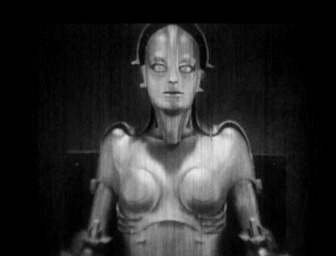 He continues to state that he was sure no one of them would be able to recognize her as a machine. Fredersen pushes a card into the picture. It says that he was invited by C.A. Rotwang to be his guest that night. 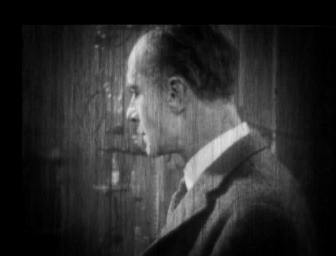 Fredersen can be seen again, he mindfully lifts his eyes and eventually looks towards the door. 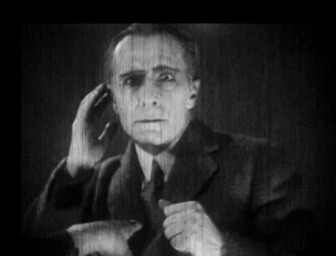 There he sees the false Maria. Freder finds his father together with the wrong Maria. Thinking it was the real Maria he calls out her name. 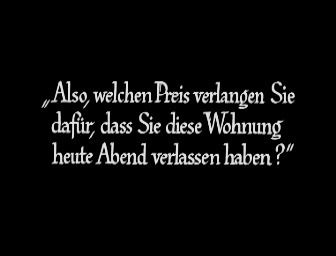 In the old version the intertitle is static whereas the new version features some animation. 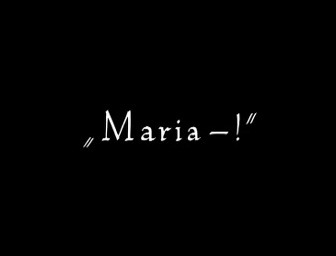 This animated intertitle could also be found in an English speaking version (identical with the Pollock adaption: "Mary"). Shot of the closed shell in which the false Maria waits, smoke is coming out of it. A short shot of the audience waiting for the upcoming spectacle was recut. A shot of Freder lying restlessly in his bed was added. Recut of a very short (less than a second) shot of a member of the audience grabbing his neighbor's arm in order to bring the dance to his attention. The false Maria starts her dancing. 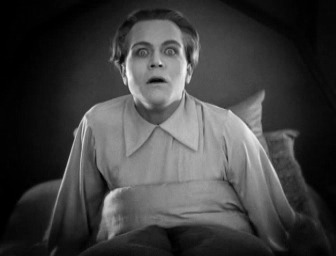 The "Thin Man" at the end of Freder's bed holds his right arm in front of his face and slowly turns back to Freder. 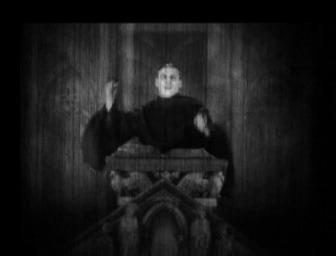 An incredibly good fading over follows in which he transforms into the monk in the cathedral. The face is being covered during the turn. It is interesting to see how seamlessly the end of the bed transforms into an ornamented culpit, the background now also features some religious ornaments. The man raises his hands. Only the right hand of the man is up like in the well-known picture from the cathedral scene and later when he is standing in front of Fredersen. He says the apocalypse was near. 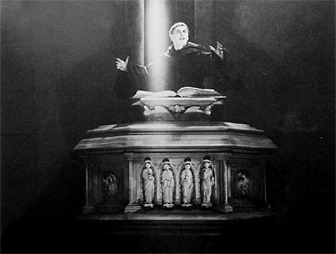 The Argentinian footage does not reveal whether this title was supposed to flicker prophetically as in the cathedral sequence because there was a film tear at this position. 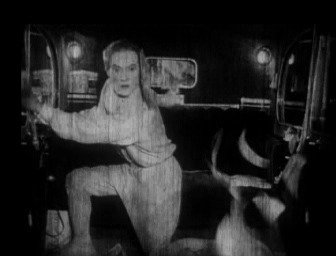 The new version now features a short shot of the dancing Maria which could be seen in the 2001 version before the man approaches Freder's bed. 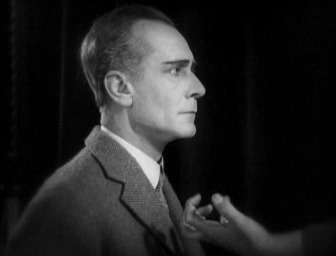 A young man is holding his jaw with both his hands, then Maria from behind stretching her arms right and left. Between the shot of the many eyes and the one eyes filling the whole picture: A shot of the dancing Maria. After the big eye: The dancing Maria close-up, grinning into the camera. Now two shots who were included in the theatrical version from 2001 but not in the following DVD release: Freder in his bed and the dancing Maria kneeling. 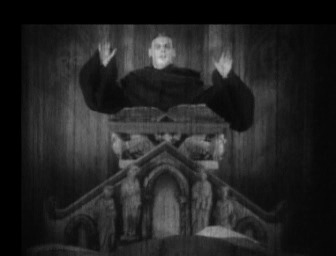 The "Thin Man" (as monk) beats on the bible and lifts it upwards. 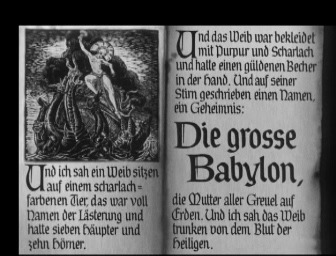 Close-up: the page about the whore Babylon from the cathedral scene. Fade to the drawing on the bible page: the whore Babylon on the seven-headed animal. 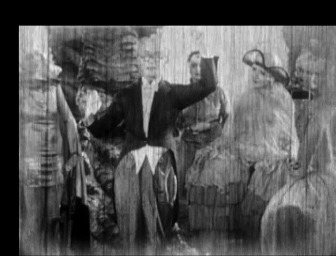 Several fade-overs of the people which are absent-mindedly watching the dancing Maria. 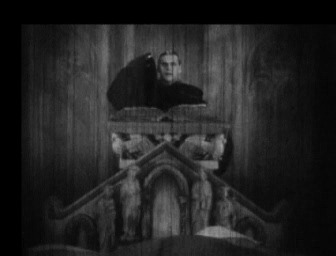 Recut of the intertitle mentioning the seven deadly sins. 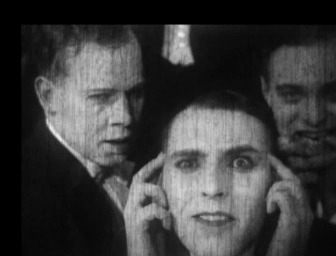 An only a few frames long shot of Freder's startled face. Shots of Death playing flute on a bone and the seven deadly sins next to him awakening and then dissolving into air. 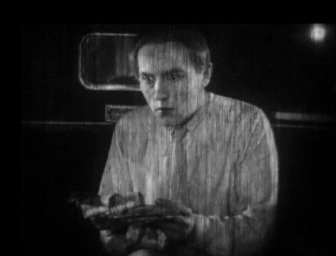 Shot of the shocked Freder sitting in his bed. When the whore Babylon is rising up, a short shot of the foamind-mouthed audience can be seen. In the 2001 version, some shots of Freder can be seen. Maybe those are duplicates as in the older versions, replacing the shots of the two young men we know now. Another short shot of the audience. The black slaves under the bowl transform into the seven deadly sins.